Eggnog almonds save the day! Seriously, there is no place on earth that pushes the limits of my sanity and makes me want to punch people in the face quite like the Trader Joe’s in Union Square. For those of you who don’t live in New York and have the great fortune of never having been to this particular supermarket, the closest comparison might be… oh, I don’t know, maybe one of the inner circles of Dante’s inferno. I was there recently, stuck in a too-narrow aisle, jam-packed with passive aggressive shoppers, at least one screaming toddler and a woman who knocked over a glass jar of tomato sauce (yay for spills and shards of glass!) 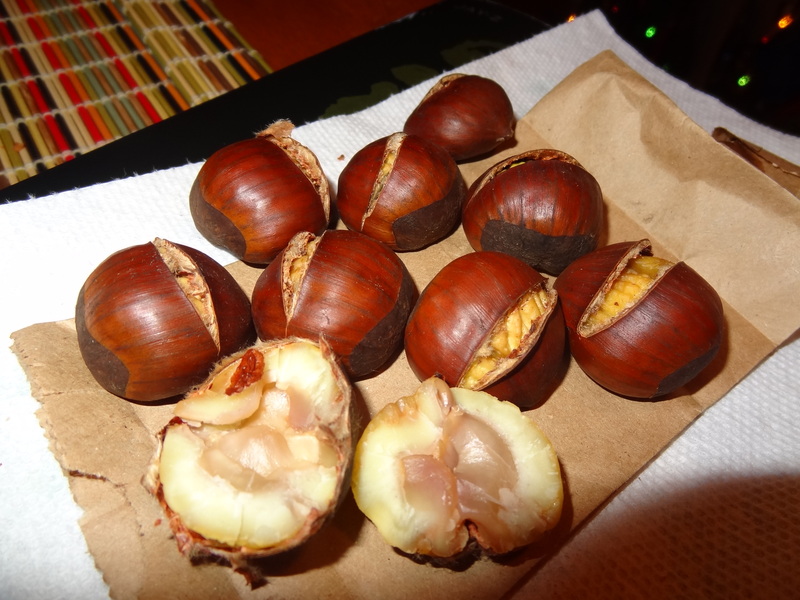 when I saw something in someone’s basket that turned everything around for me: egg nog almonds! Everyone, out of my way! These just make everything better. 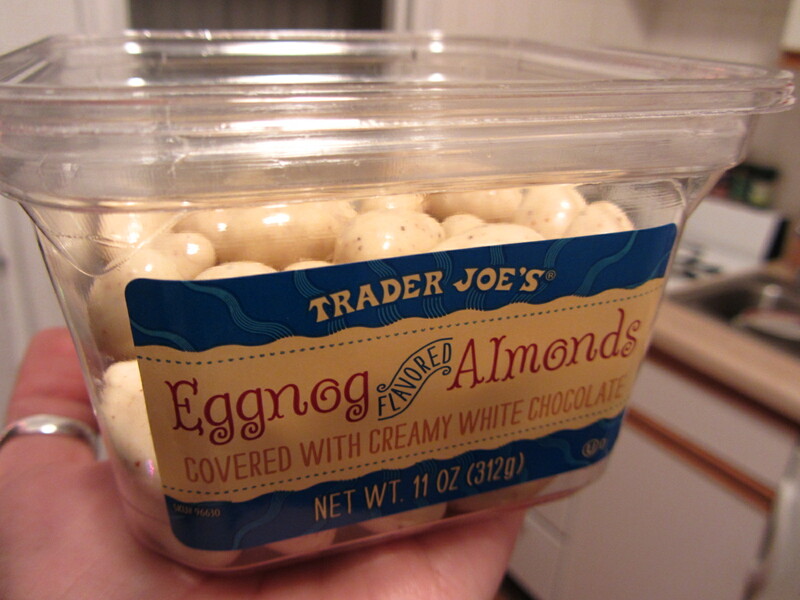 The thing I love about Trader Joe’s, and one of the reasons I continue to shop there, are their fun, seasonal items, like pumpkin butter in the fall and now egg nog almonds to fuel my obsession during the holidays. Each almond is coated in a smooth, glossy layer of egg nog flavored white chocolate, making this the ideal sweet, creamy, nutty, crunchy thing to curl up with on the couch while watching holiday themed TV shows. Even if it means braving the herds, I think I need to stock up on these before they’re off the shelves. 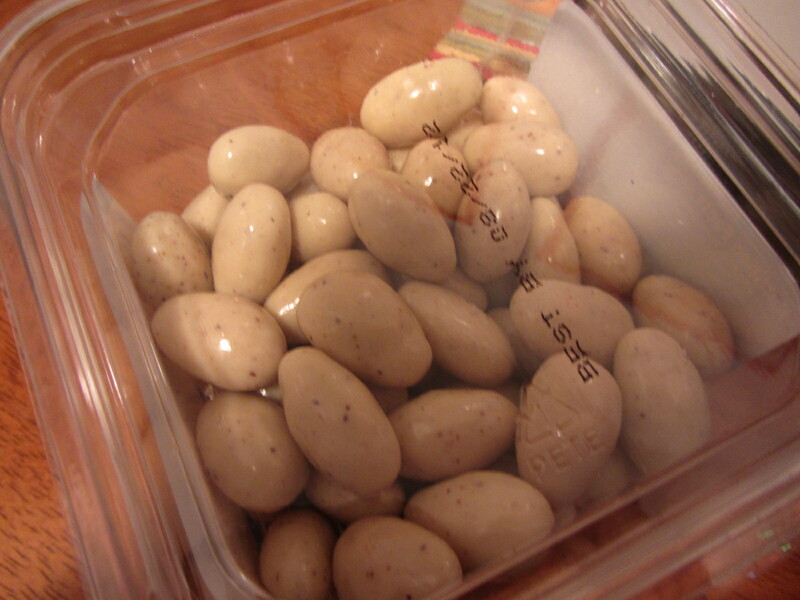 Post-traumatic TJ’s rage (a real condition in my case) would be a lot easier to deal with if I had these delicious egg nog almonds. It had been a long day. A really long day. There were back-to-back deadlines at work, depressing New York city apartments to visit (and then run away from), family arguments to mediate, and the grand cherry on the sundae that was my Wednesday, my email and Facebook were hacked into by some “cybercriminal” who proceeded to send every single one of my contacts a message saying I was mugged and clubbed (yes clubbed, like a baby seal) in Glasgow, Scotland (where mind you, I’ve never been) and needed money. I mean seriously. I couldn’t make this stuff up if I wanted to. And because I’m a complete glutton for punishment, I decided to add to all of that by making a pit-stop on my way home at Whole Foods in Union Square. You know, because dealing with an overcrowded supermarket full of pissy, in-a-hurry hungry people (not entirely unlike myself) and wildly overpriced food, oh and the multi-colored 10-lane check-out area was exactly what I needed to unwind. I was starting to think I had made a huge mistake, when all of a sudden I rounded a corner and froze in front of what I saw. In my head, the clouds parted and rays of sunshine and unadulterated happiness beamed down on me while a choir of angels heralded the cure to my terrible Wednesday: egg nog! There it was before me, an entire free-standing refrigerated section of egg nog and nothing else! Original egg nog, low fat egg nog, Silk egg nog (as in the soy milk), pumpkin spiced egg nog, organic egg nog. This is how I know there’s a God. He gave me egg nog. 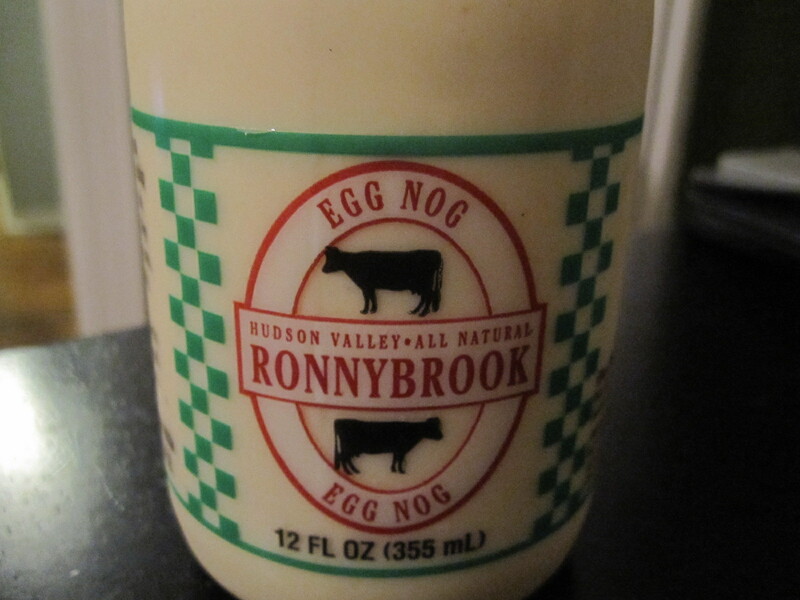 I greedily and impatiently wait all year for the arrival of egg nog season and when it comes, I buy it regularly. 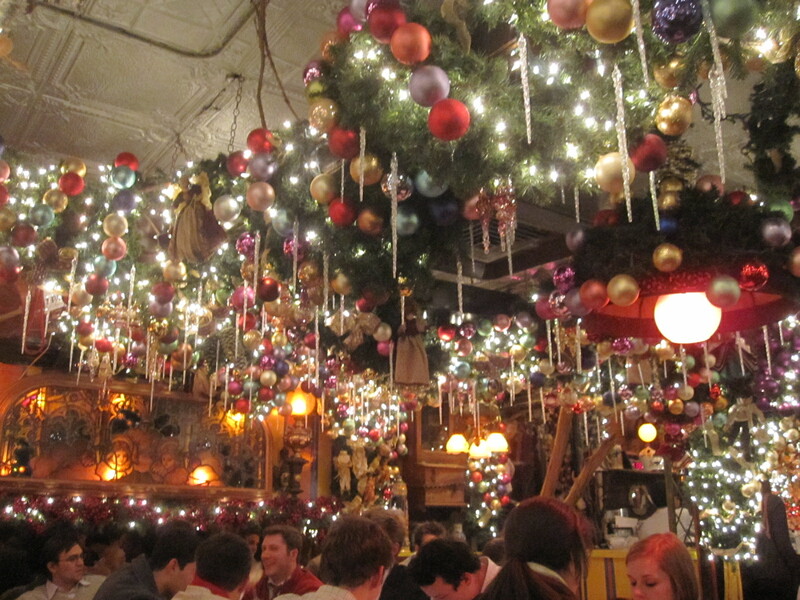 After Christmas, when egg nog is stripped from the refrigerated dairy section, my life feels empty and lacking, like the living room always feels in January when the Christmas tree is hauled to the curb and the lights are boxed. But no use in worrying about goodbyes just now, because egg nog just got here. 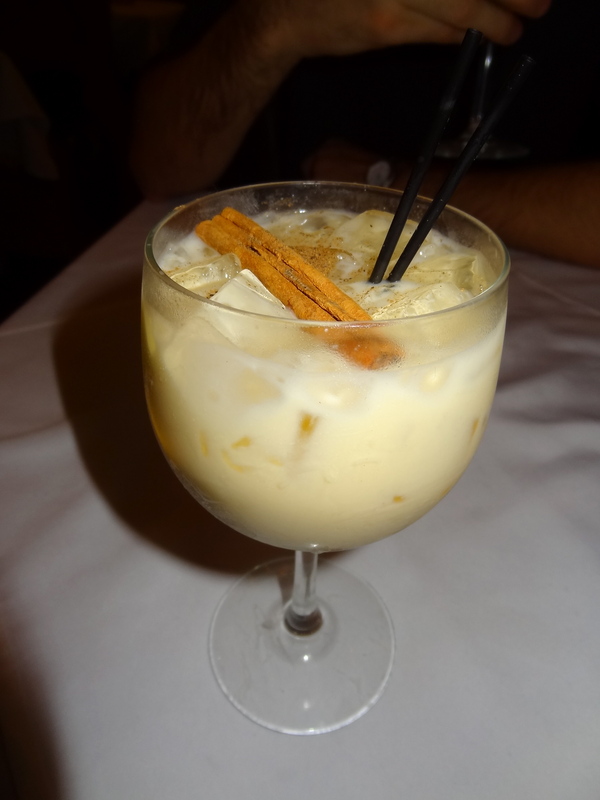 Thick, cool and creamy with that deliciously sweet nutmeg and cinnamon-flecked comfort it always gives me, I honestly can’t think of anything that could have made me feel better. Egg nog, you saved the day. Here’s to a long and happy season together.